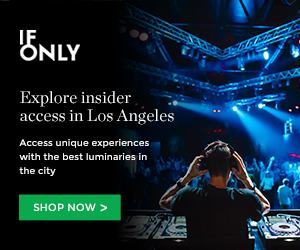 The heat is starting and that means that multiple late night experiences are popping up in the City of Angels. Visiting “Sleepless” the Music Center After Hours should absolutely be in your list of things to do in LA. On the latest edition of Sleepless, Disco took over the Dorothy Chandler Pavillion dressing up with glitter and glam from makeup to a large installation of shiny disco balls. The spaced was ultra interactive; five floors of Disco action. If you missed a dance number or a DJ because of enjoying a film at the “Grand Cinema Salon” or watching a live band in another space it was all good, there was plenty disco going on everywhere for the late night functioning senses. This last one occurred during two nights. We headed over Saturday and left with no regrets of missing out. The music curated by Dublab had the night owls getting their boogie down accompanied by disco inspired cocktails. When your feet could not take it anymore, sitting down to some write letters in vintage (electric) typewriters or creating some spirograph art was always an option… to the sounds of Disco. Already looking forward to the next one. This entry was posted in Photo Galleries and tagged After Hours, Art, De Lux, disco, djs, Dublab, farah sosa, los angeles, music, nightlife, Sleepless, The Music Center on April 13, 2018 by FarahSosa.